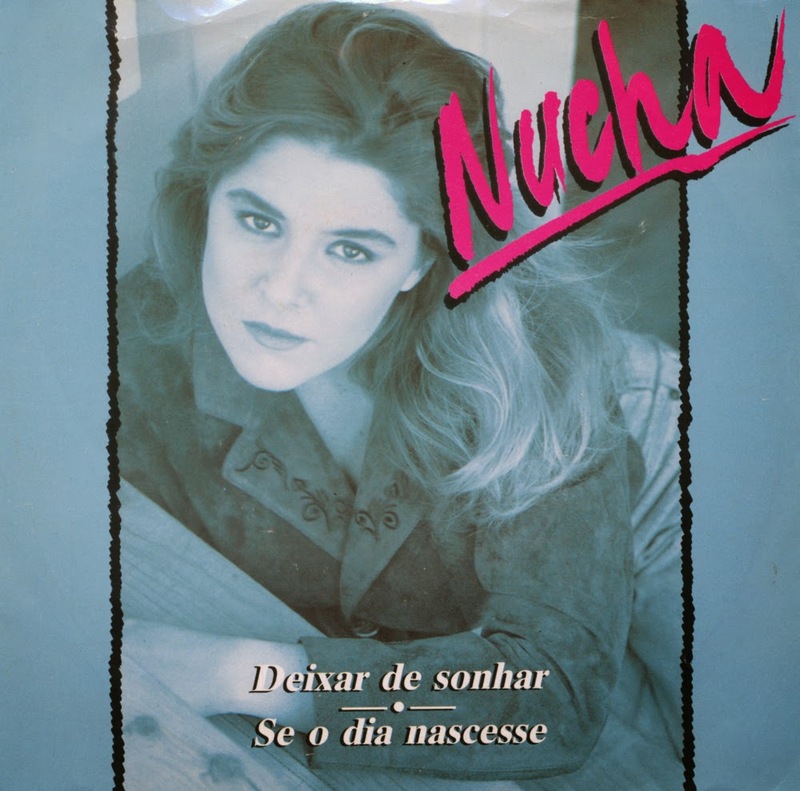 Like many singles on this blog lately, this single has a few connections to the Eurovision Song Contest, as Nucha performed in the 1990 edition with Ha sempre alguem, representing Portugal. This single was a follow-up to that one, and amazingly, the song was written and composed by Maarten Peters, with a lyric translation by the brothers Fransisco and Frederico Teotónio Pereira. Maarten Peters wrote the song as 'Het zal nooit meer zo zijn' ('It will never be the same') for the national finals of the Eurovision Song Contest in the Netherlands in 1989. It was performed by Ingrid Souren and finished in third place. It was translated into Portuguese for this version by Nucha and ended up in the top 10 in Portugal. Afterwards, the original Dutch version was recorded by Willeke Alberti, who herself appeared on the Eurovison Song Contest with the embarrassing song 'Waar is de zon' in 1994. 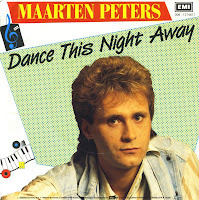 The unsuccessful single 'Dance this night away' by Maarten Peters was his only one to be released as a 12" single featuring a remix. And it was quite a famous name who remixed his track: Ben Liebrand, who'd had several hit singles to his name during the mid-Eighties. Even he couldn't help this track. The remix has all the hallmarks of a Liebrand mix: a new dance beat, several elements from the original song and a good groove. And an interesting buy: these days you can't find this 12" single anywhere. 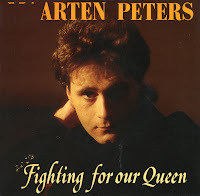 'Fighting for our queen' was Maarten Peters' last solo single to be released on 7" vinyl - and his last solo single overall (not counting a track in Dutch he recorded over a decade later). His solo career came to a sudden halt after this single failed to chart. He released no further albums, but focused on songwriting instead, and worked as a musician with his partner Margriet Eshuys. As a song, 'Fighting for our queen' is not his best effort. It plays on the imagery of fairy tales but the lyric is not very accomplished. 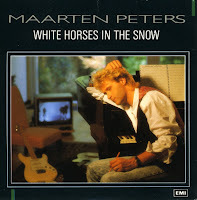 In early 1991, Maarten Peters came up with the follow-up to his successful 1989 album 'White horses in the snow'. Entitled 'A scary tale', it was a collection of songs mainly inspired by fairytales. The first single 'Playing the blues', however, was not one of them. This one sounded like a poppy version of a blues track. It probably didn't sound that believable coming from a white Dutch man, because the single failed to chart even in the Netherlands. 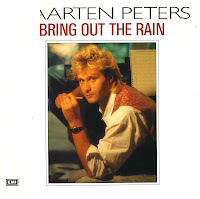 'Bring out the rain' was the third and last single taken from Maarten Peters' third and most successful album 'White horses in the snow'. 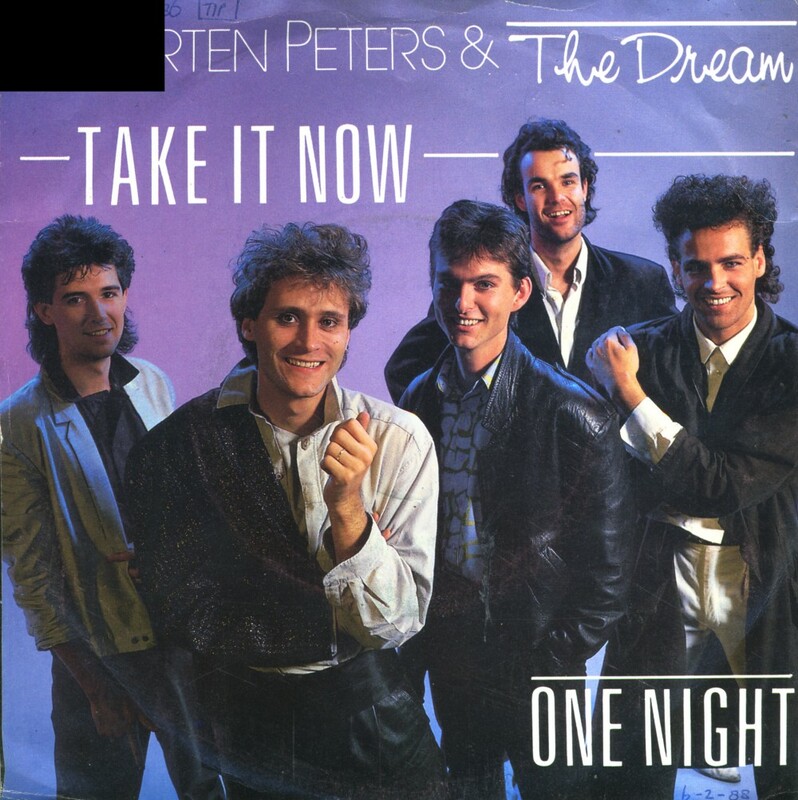 The single included a special version of the album track 'Who's dreaming (on your pillow)'; the album version of that track had been the B-side of the first single from the album, 'White horses in the snow' (yes, the title track). This single was the least successful of the three, as it failed to chart even in the Netherlands. The second single from Maarten Peters' third and most successful album 'White horses in the snow' was the ballad 'Heart of stone (Leave me alone)'. Although the single did not chart, it certainly gave him some exposure, as he played in many television shows at the time. This single brings together two of the longest tracks on the album, and also the most accomplished ones. 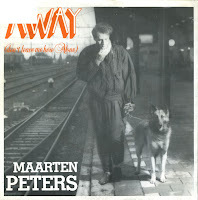 Although Maarten Peters' pronunciation and diction is most certainly Dutch, the songs could almost have been made by a British singer/songwriter. The lyric of the song 'Take it now' can be described as a day in the life of a pop star. 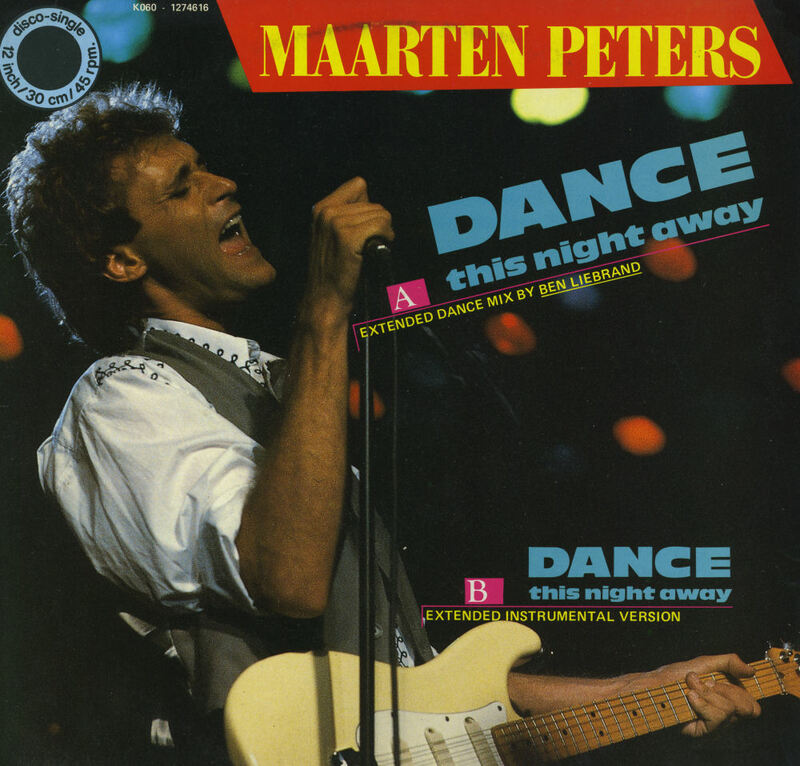 I was never too impressed with the song, but as I have all of Maarten Peters' singles, I couldn't let this one pass me by when it turned up for almost nothing. 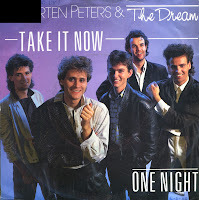 'Take it now' was released in November 1986 and failed to reach the Dutch Top 40. 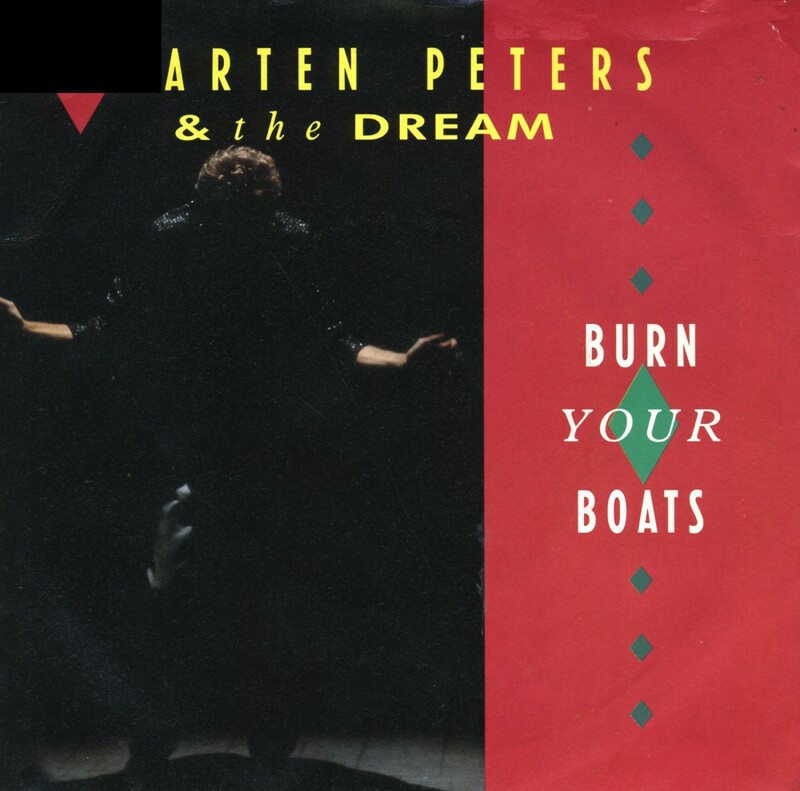 It was the first single from Peters' second album, 'Burn your boats'. 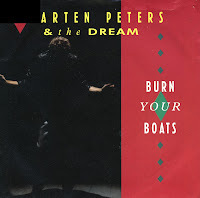 The single 'Burn your boats' was the second single taken from Maarten Peters' second album of the same name. The single featured a live version of the song 'Get out of here' (a track on his debut album 'Hunting the queenbee') on the B-side. The single failed to reach the Dutch Top 40. Some would argue that the sleeve photography by one Jan van Teeffelen had something to do with this. It wasn't easy for Maarten Peters to get some commercial success. All of his single releases between 1985 and 1987 failed to reach the Dutch Top 40, with one exception. 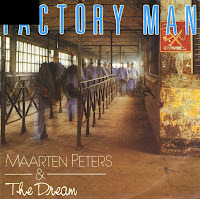 It must have been a relief that his eighth single 'Factory man' managed to get to number 35 in May 1987. 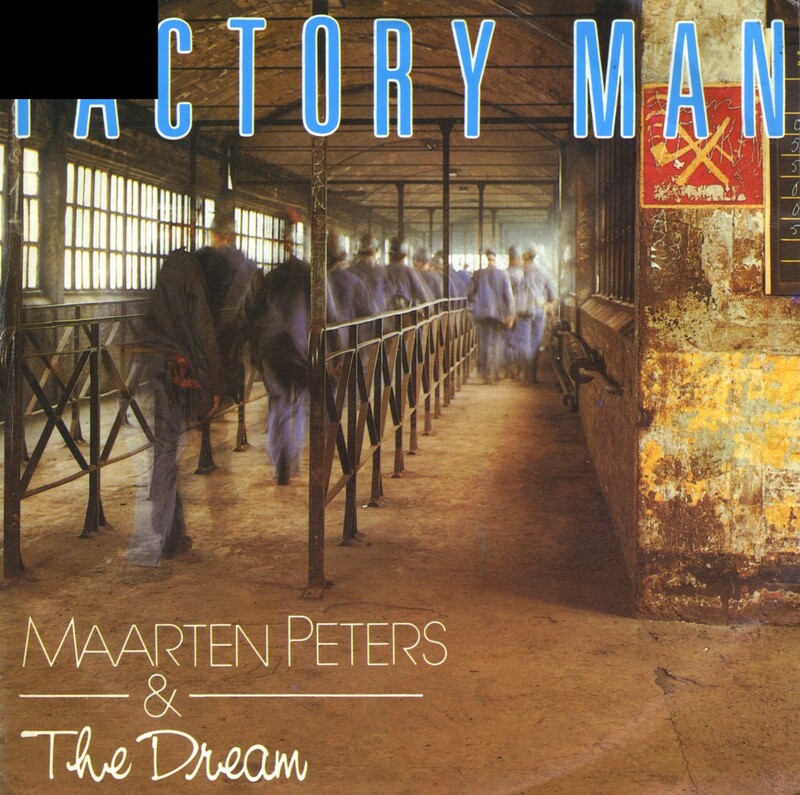 'Factory man' was the first single from his second album 'Burn your boats', released around the same time as this single. The B-side, 'May 29th', was taken from his debut album and was written after an incident at the Heizel stadium in Belgium on May 29, 1985. Hooligans from Liverpool and Turin started fighting, which eventually caused a wall to collapse. 39 people were killed and 400 were injured. 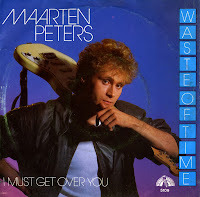 After having been a member of the Frank Boeijen Groep for a year, Maarten Peters embarked on a solo career that gave him some success in the second half of the Eighties. His first taste of chart success came when he released the single 'Away', a song written by himself and produced by Jos Haagmans, not coincidentally a member of the Frank Boeijen Groep. The single reached number 36 in the Dutch Top 40 during a 4 week chart run. Not a high placing, but then better things were on their way in the years to come. In 1988, Maarten Peters left his record company Dureco after releasing two albums with them, and signed a new contract with EMI. His first release for EMI was the standalone single 'Dance this night away'. Despite the danceable music and the straightforward lyric, the single was not a chart success. It almost seemed like his career was heading for a nosedive, but in 1989 Peters came back with a new album, that would give him his biggest successes. My collection of 7" singles is an important one for me, but I'm also an avid collector of 3" cd-singles. In the late Eighties a lot of singles were released on this format, but my budget wasn't big enough to buy everything: choices had to be made. In the case of 'White horses in the snow', I chose to buy the 7" single and not the 3" cd-single. Mostly because of the fact that both the A-side and the B-side featured on the accompanying album of the same name - and f course by that time I had abandoned the lp format in favour of the cd. Today I received the 3" cd-single of 'White horses in the snow', which I've finally bought over 20 years after its release. 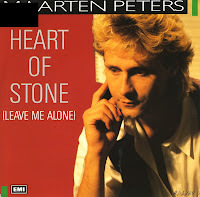 Maarten Peters had a hit with this in the autumn of 1989, peaking at number 23 in the Dutch Top 40. 'Waste of time' is a single from Maarten Peters' debut album 'Hunting the queenbee'. Lack of information makes it hard to give it a chronology, but it's probably Maarten's second or third single. It is an interesting popsong which nevertheless did not chart in the Netherlands. The B-side, 'I must get over you', is a non-album track that has never been released anywhere else. A moving ballad that is great for dark nights if you're lovesick. 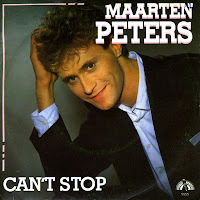 'Can't stop' was the debut single of Maarten Peters, released in the Netherlands in 1985. 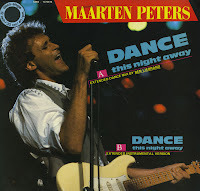 The single was produced by Jos Haagmans, with whom Maarten had just worked for a year in the Frank Boeijen Groep, which they were both members of. The single is a stunning debut, not so much for the A-side, which is a pretty middle of the road affair, but the B-side. Unreleased on any album, 'Don't interfere with a ghost' is a simple, yet effective ballad that deals with a slightly creepy theme, but doesn't exploit this musically. It's a ghost story in a very friendly atmosphere. 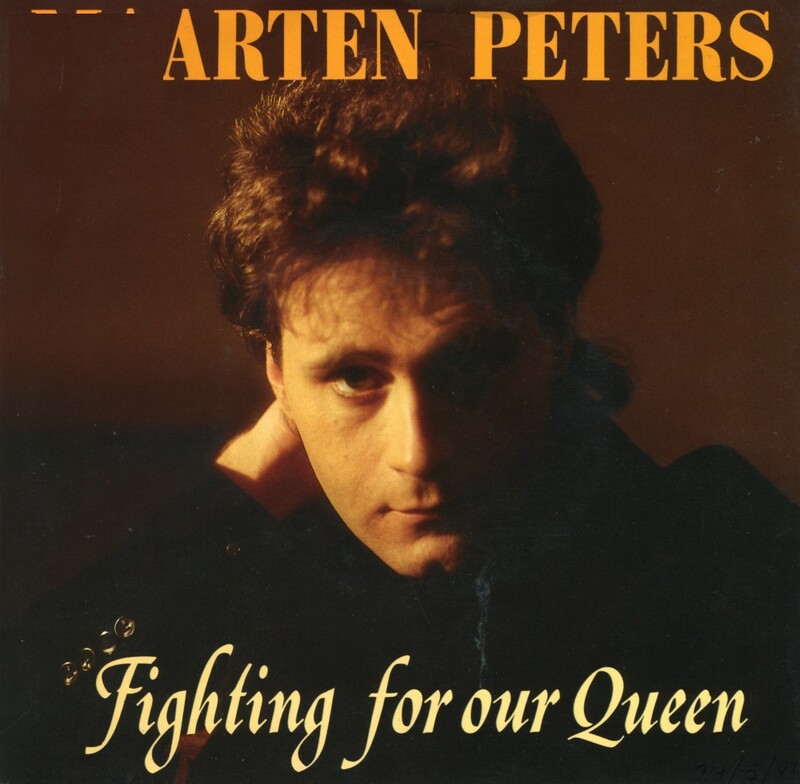 The single did not chart, but Maarten Peters would get some chart recognition later on in his career. Being almost bilingual by now, I still don't know exactly if the expression 'Window widow' would be used by an Englishman. I've always thought it was a weird title, but anyway... The track itself is a beautiful ballad with a neat little story of a woman who loses her husband and keeps hoping for his return. 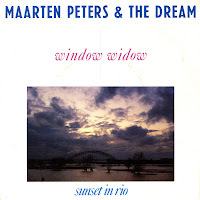 'Window widow' was the last single taken from Maarten Peters' second album 'Burn your boats' (1987), and it was re-recorded especially for this single. As such, it was never released on cd, because many Dutch bands didn't release cd-singles yet. The single didn't chart, which makes it even more collectable, I guess. 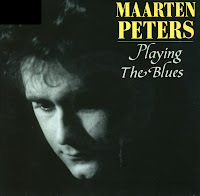 Maarten Peters first rose to prominence in the Dutch music scene as the guitarist of the Frank Boeijen Groep. He took the place of original guitarist Wil Theunissen, who quit the band for health reasons. 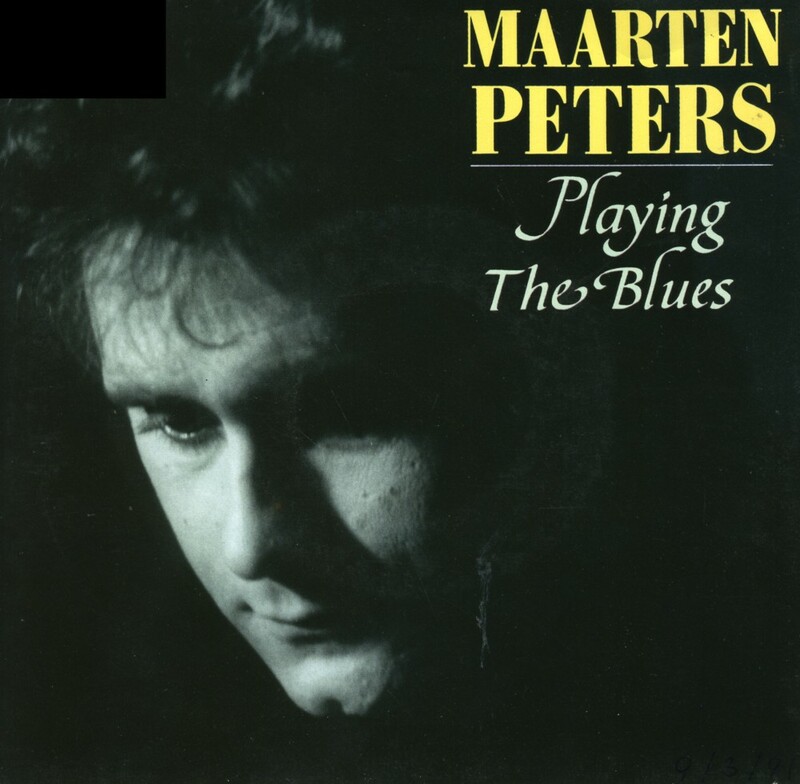 While playing the the Frank Boeijen Groep, Maarten Peters formed his own band, Maarten Peters & the Dream. This is probably one of their best known singles, despite the fact that it didn't reach the top 40 singles chart in Holland. 'After the party' was included on many mid-80's compilation albums and surprised some people because of its lush production. The 7" single included a short version and a full length version. The latter version ended up on the album, 'Hunting the queenbee'.